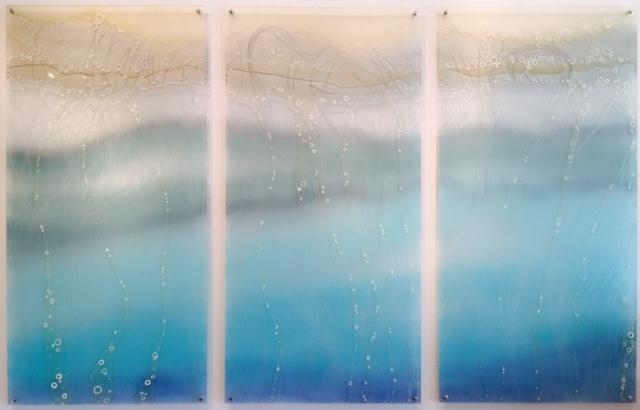 To AAAP artist Carla Goldberg, who has been commissioned to create a 16 foot five panel moon and water scape on plexiglass for the Hammond Museum for their summer 2016 exhibit. Also, three 14 foot water images of hers will grace the outdoor solarium on the newest Royal Caribbean cruise line ship currently under construction in Norway and set to launch this summer. Also congrats to AAAP artist and DMV resident Elissa Farrow-Savos, as last nigth was the opening of her show, "If I Were You and You Were Me", at Gallery C in Raleigh, North Carolina; a gallery by the way, that discovered her work at a recent art fair a couple of years ago! Hello, my name is Julian and i am from Sinara Group Co.,LTD in Russia.We are glad to know about your company from the web and we are interested in your products.Pls send us your Latest catalog and price list as soon as you can. Christopher Newport University Dept. of Fine Art and Art History is looking for artists (in VA, DC, Baltimore) who can offer a workshop to their students as well as an Art Exhibition/Gallery Talk of their work during the 2016-17 academic year. They will provide reasonable stipend to assist with travel/shipping depending on circumstance. May offer honorarium to cover expenses associated with a Visiting Artist Workshop on campus. Contact jodie.gordon@cnu.edu to request submission requirements. Subject line: Call for Proposals. No phone calls please.